For a luxury SUV sure to turn heads on and off the Paradise Valley roads, go with the new Land Rover Discovery Sport. Not only does the Discovery Sport combine sleek styling with ultimate capability, it also boasts some highly advanced technology systems, especially as compared with competitors. Plus, this model is as capable as it is adventurous, thanks to its versatile interior and optional third row of seats. 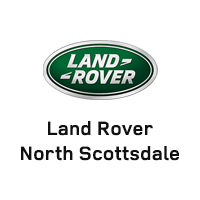 Find yours today at Land Rover North Scottsdale! Compare the Land Rover Discovery Sport vs. BMW X5 to learn more about the competition, or compare the Land Rover Discovery vs. Land Rover Discovery Sport to check out more Land Rover SUV options!